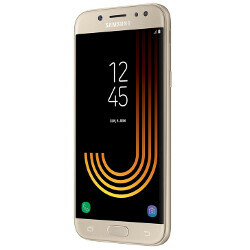 The unannounced Samsung Galaxy J5 (2017) has been listed on Amazon France in two colors, Gold and Black. The price of the handset is 279 Euros, which is equivalent to $315 U.S. Dollars. While the phone looks like a typical Samsung handset from the front, a new design for the antenna lines is present at the top and bottom of the back. And with the listing, we now have the final specs of the device. Based on the date shown on the phone's screen, it appears that we will see an official unveiling of the device on Monday, June 5th. Meanwhile, you can check out images from the Amazon listing by clicking on the slideshow below. Beautiful Samsung designs have improved ! Even Samsung J series phones look better than any iPhone. Get J7, much better than J5 for a few bucks more. And beautiful design. Samsung's mid range have better design than some flagships. 315$ is way too high for the specs !